This artfully arranged Fast Fruit Salad recipe is almost too pretty to eat—almost. Top this fruit salad recipe with a creamy honey-citrus sauce and enjoy! Mix sour cream, honey, zest and juice. Refrigerate until ready to use. 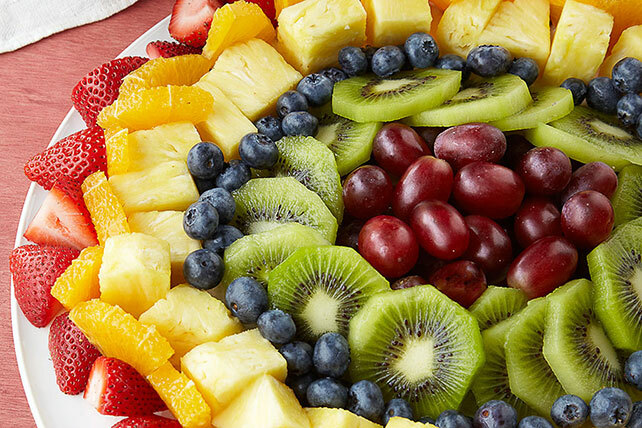 Arrange fruit in circular pattern on round plate, starting at center of plate. Serve with sour cream dressing. Prepare using lemon zest and juice. 8 servings, 1 cup each.